A pro-death penalty “punitive culture” in some federal jurisdictions ensures that poor defendants in capital punishment cases never get the quality of public defense they are entitled to, argues a study published in the Journal of Criminal Law and Criminology. The study, which examined why defendants in some federal death penalty cases failed to receive the full range of public defense services, found that a “social and political climate” favoring capital punishment was among the “extralegal” factors that influenced some local court administrations to allocate fewer federal funds for those services. The lack of sufficient resources meant that defendants in those jurisdictions were forced to rely on lawyers who lacked experience in capital cases, or on attorneys whose appointment was not recommended by either the local federal public defender or the Office of Defender Services. Extralegal factors that have nothing to do with the legal merits of a case not only shortchange the ability of indigent defendants to present mitigating circumstances that can help them avoid a death sentence—but make a death sentence more likely, the study said. “Our findings strongly connect extralegal factors to the lowest levels of defense resources, which in turn correlate with a higher risk of a death sentence,” wrote study authors Jon B. Gould, professor of Public Affairs and Law at American University; and Kenneth Leon, a visiting assistant professor at George Washington University. The study looked at data in the 14 federal jurisdictions that have received the bulk of capital authorizations in U.S. death penalty cases between 1998 and 2004, and examined the outcomes of 62 cases where defendants faced the real prospect of a death sentence. Just four of those jurisdictions—Louisiana-Eastern (New Orleans), Missouri-Western (Kansas City),Texas-Eastern (Tyler and Texarkana), and Virginia-Eastern (Richmond and Northern Virginia)—showed both a high concentration of allocated funds and death sentences. Within these 62 cases, the median level of allocated defense funds was about $465,602, with the lowest number being about $67,366 and the highest number being about $1,788,246. The authors cited a study commissioned by the Committee on Defender Services of the Judicial Conference of the United States showing that 44 percent of defendants whose approved funds fell below the 30th percentile of support – about $320,000 – were sentenced to death, versus 19 percent in all other cases. Their findings indicated “a system of federal capital litigation that limits the resources that certain suspects receive for their defense based simply on where the case is brought,” the authors said. 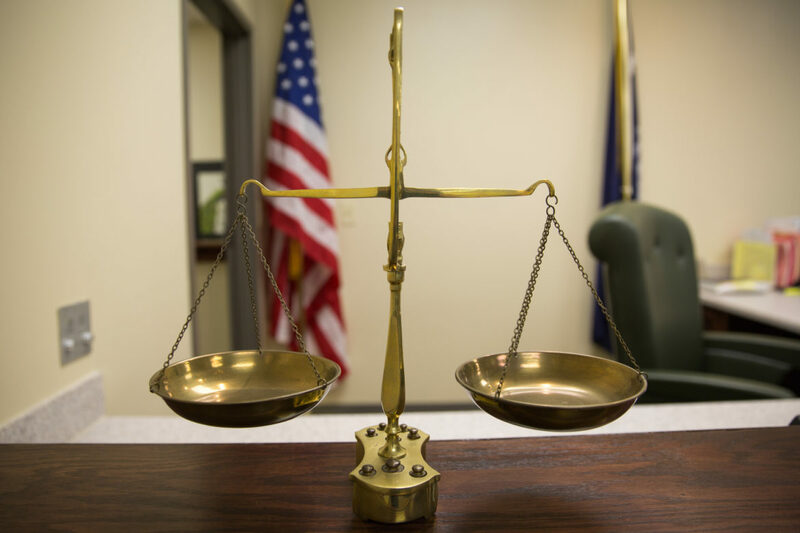 The survey found that extralegal factors were more likely to determine the level of resources allocated by local jurisdictions to public defenders’ offices in capital cases than more “legally relevant” factors, such as the number of defendants, offenses, or victims. A key extralegal factor was what they described as a “punitive culture” in states—particularly in the South—where there was strong support for the death penalty. The authors said that the link between extralegal factors such as “the local punitive culture, the background of the presiding judge,the caseload and speed of the court’s docket, and the race of the defendant” and decisions on appointments of lawyers and the level of resources available for defense had “real and quite troubling” consequences. In contrast, the study found that judges who attended a nationally recognized law school, as well as those who have past experience as a federal prosecutor, were much less likely to be involved in lower-cost cases. The authors also drew a link between research that shows poor African-American capital defendants are more likely to receive the death penalty if the victim is white and their findings that blacks were almost 1.7 times more likely than other defendants to receive a lower-cost defense. They argued their findings cast additional doubt on the presumed uniformity of legal procedures in the nation’s federal court system. “The notion that defense resources would turn on extralegal or cultural factors is antithetical to […] legal norms and the legitimacy of the federal criminal justice system itself, especially because the federal courts are considered a unitary legal system in which the prevailing law, processes, and standards are presumed to be common,” the study said. The study, entitled, “A Culture that is Hard to Defend: Extralegal Factors in Federal Death Penalty Cases” appeared in the Fall 2017 edition of the Journal of Criminal Law and Criminology, published by the Northwestern University School of Law. It can be downloaded here. This summary was prepared by TCR news intern Brian Edsall. Readers’ comments are welcome. The capital city of Dhaka has been paralyzed by student protests after two teenagers were killed by a speeding bus. Government officials are considering a draconian measure: capital punishment for serious traffic accidents. Meanwhile, gunmen attacked the car of the U.S. ambassador, who was not injured.